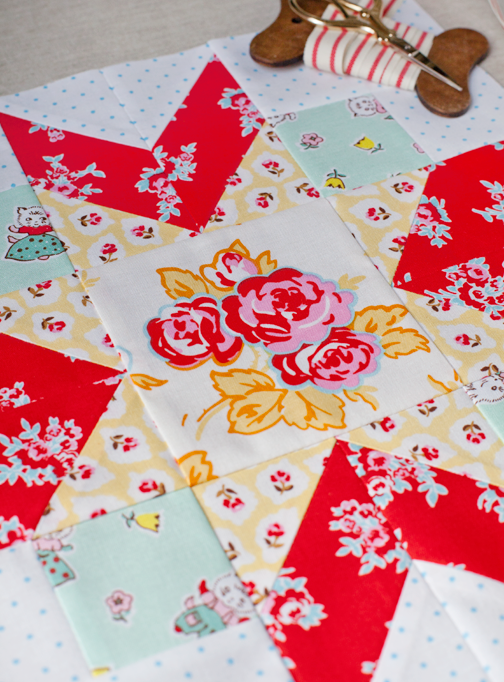 Today, it's my turn on the Farm Girl Vintage blog hop and sew along with Fat Quarter Shop. 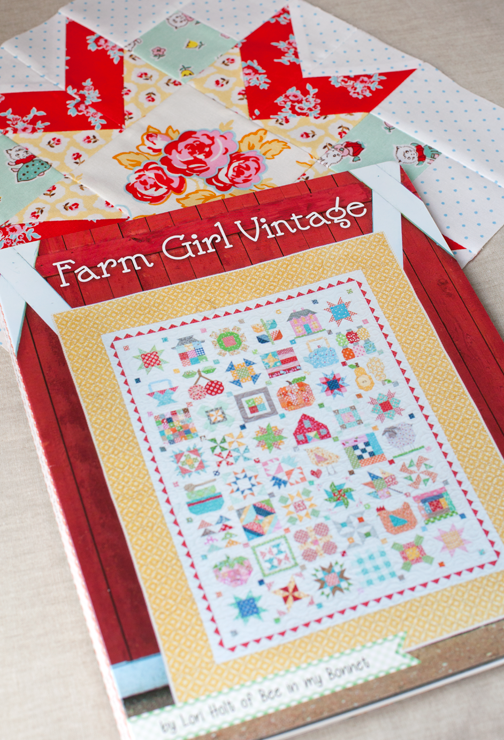 Farm Girl Vintage is a great quilting book by Lori Holt of Bee in my Bonnet. 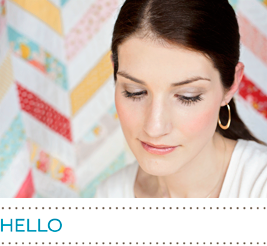 This book is filled with so many fun different quilt blocks. 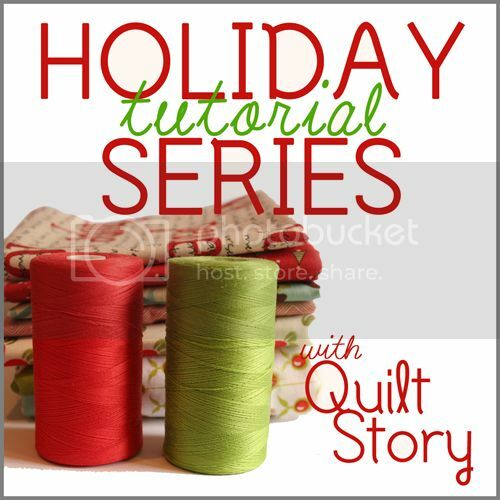 I highly recommend this book if you like sampler quilts. 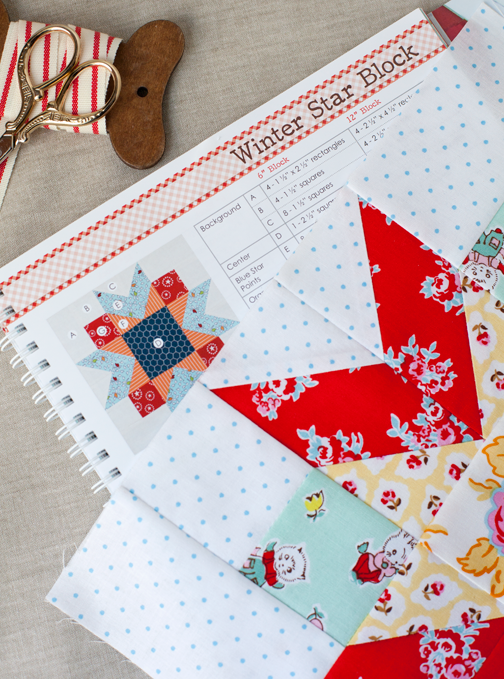 I made the Winter Star Block using Milk, Sugar and Flower by the talented Elea Lutz for Penny Rose Fabrics. I think it's a perfect pair. 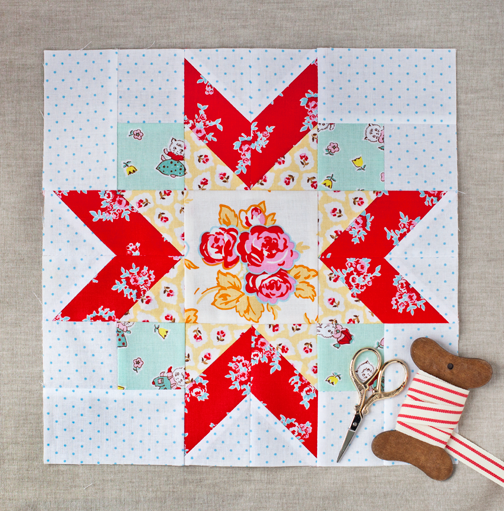 I've made blocks similar to this one before and almost always the star points are made with half square triangles. Lori has a bit different take on constructing the points so it was great to be able to learn a new perspective.